Revised regulatory guidance by the Scottish Housing Regulator comes into effect on April Fools’ Day, but following it is no joke, writes Alistair Berwick – and housing associations south of the border should also take note. Does anyone remember, from their youth, the pranks that were played on April Fools’ Day? A favourite at my school was to find a nearby phone box, call Edinburgh Zoo, and ask to speak to Mr Lion, Mr C Lion. Childish, I know, but it amused us at the time. If you work in social housing in Scotland, you have rather more to think about on 1 April this year, such as ensuring that you are prepared for the new regulatory framework and advisory guidance that was issued by the Scottish Housing Regulator (SHR) on 28 February 2019. The SHR regulates 160 registered providers and 32 local authorities, with one statutory objective: to “safeguard and promote the interests of current and future tenants of social landlords, people who are or may become homeless, and people who use housing services provided by registered social landlords and local authorities”. In January 2018, the SHR issued a paper to commence a national discussion on the future of social housing regulation in Scotland, as part of a commitment to review the existing regulatory framework since its introduction in 2012. The new updates reflect the current focus on the needs of tenants and service users. The SHR has granted space for registered providers to focus on providing good services for tenants, while not being too prescriptive. There is more onus on registered providers to provide self-assurance of compliance, which gives an opportunity for boards and executives to demonstrate accountable and efficient governance. The new annual assurance statement is one of the main changes to the framework and must be submitted to the SHR between April and October each year by the registered provider’s governing body. The statement is an objective and evidence-based judgement on compliance, with feedback from tenants and services users, and independent assurance where necessary. It should be short and succinct to be accessible once published by the SHR, and landlords are required to set out areas where they do not comply, with clear actions and timescales for improvement. Additionally, the chair is required to notify the SHR of any material changes during the year. These changes should ensure accountability and focus of the governing body. Please note that your first statement must be submitted by October 2019. In the interest of engagement and transparency, the regulation plan has now been renamed the engagement plan, with new status categories to replace previous ‘high/medium/low’ categories measuring the amount of regulator involvement required by an organisation. A status can also be ‘under review’ if the SHR is assessing recent information provided. While the requirement to submit the annual return on charter information will continue, the number of indicators that are required to be reported on has reduced by a third, saving boards time on reporting to focus on improving services for tenants. The code of conduct that sets out the standards of governance and financial management for registered providers has had a new standard added that states that any organisational changes or disposals a registered provider makes safeguard the interests of and benefit to current and future tenants. And to further the safeguarding of current and future tenants, there will be a new requirement to consider equality and human rights when making decisions, policies and service delivery. However, this will not be assessed until April 2021, to provide more time to develop guidance. As in England, the Scottish Housing Act 2018 (amendment) with effect from 8 March 2019 means registered providers no longer have to apply to the regulator for consent to the disposal of land or assets and to constitutional and organisational changes, but the regulator still must be notified. It is important that registered providers should also continue to obtain the consent of lenders, where required, to any disposals or organisational changes – so check your loan agreements. This updated framework places an emphasis on landlord self-assurance in order to support openness and a culture of continuous assurance and improvement with a focus on empowering tenants, homeless people and other service users. The Scottish social housing sector has always had a strong tenant and community focus backed up by the SHR’s one statutory objective. The changes should therefore be welcomed by RSLs that are well governed. It is also an opportunity for others to ensure that they are providing board members with sufficient information and robust evidence about the performance of the organisation throughout the year so that when it comes to signing off the annual assurance statement by October 2019 it should be regarded as a mere formality as part of a continuous self-assessment process that is embedded in the business. 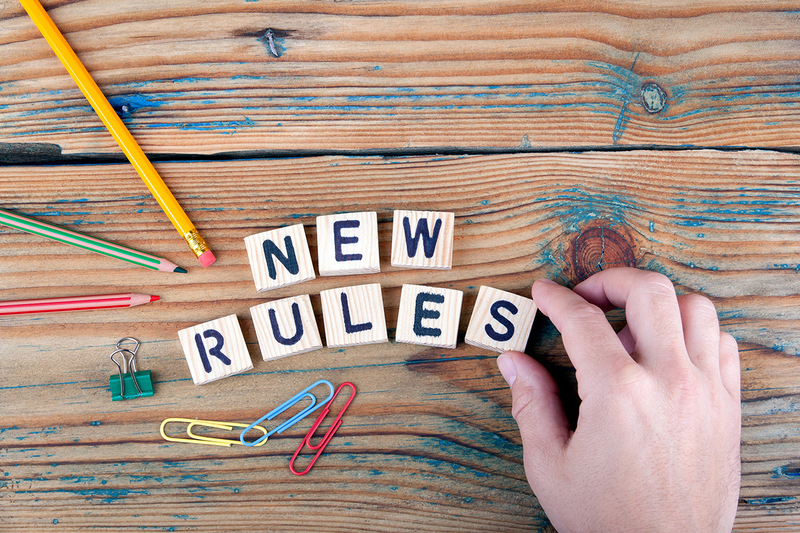 Take the time to review the revised regulatory framework so that there are no surprises from 1 April – and most importantly, keep board members and tenants in the picture with any changes that are likely to impact them. In a post-Grenfell world, there are reflections to bear on regulation in England, too. Housing associations south of the border would be fools not to take note. Click here to read the article as first published on Social Housing Magazine.